The Robert Ashwood Memorial Fund (RAMF) was setup after the death of Robert (Bob) Ashwood in August 2013 to continue Bob’s prolific work in supporting and developing British Junior and U23 Middle and Long Distance Athletes. 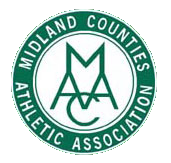 Midland Counties are sad to hear of the death of Diane Leather (7 January 1933 – 6 September 2018) who became the first woman to run a mile in less than 5 minutes. Representing Birchfield Harriers, Leather broke the 5-minute barrier with a time of 4 minutes and 59.6 seconds, during the Midlands Women’s AAA Championships at Birmingham’s Alexander Sports Ground on 29 May 1954, 23 days after Roger Bannister became the first man to run a sub 4-minute mile in Oxford. Earlier at that meeting she lowered the British record for 880yds to 2 mins 14.1secs. Mike supported the Association over many years, in fact decades. A long time member of the Road Running committee assisting with the organisation of the Area Road Relays ensuring that radio communication around the course was set up and effective. A timekeeper of note officiating at local and area levels including schools.